Austin Jennings was born and raised on the island of O’ahu where he graduated from Kamehameha Schools in 2015. 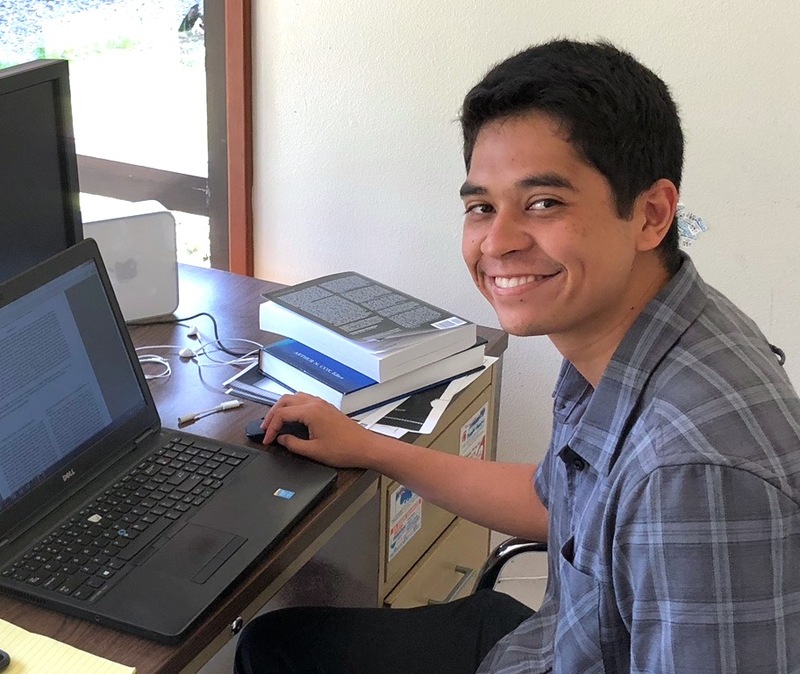 He is currently a junior majoring in Astronomy with a minor in Physics at the University of Hawai’i at Hilo. His current career interests include topics such as galaxy evolution, star formation, and supernovae. On his spare time, Austin enjoys playing video games, exercising, and watching Netflix. The Canada France Hawaii Telescope (CFHT) currently offers two spectrographs for astronomers, ESPaDOns and SPIRou, but only one instrument can be presently used at any given time. From an engineering standpoint, it would be possible to use both instruments at the same time using a new opto-mechanical device. However, the purpose of this project is to conduct a preliminary astronomical study in order to determine if it is reasonable to use both spectrographs simultaneously or quasi-simultaneously. To determine this, the V (wavelength for ESPaDOnS) and H (wavelength for SPIRou) magnitudes was found for all the main spectral classes as well as 3 stellar luminosity classes – pre-main sequence, main sequence, and giants. Using each instrument’s exposure time calculator, a range of magnitudes that would be observable for both spectrographs was found, considering parameters such as a maximum exposure time and saturation limits. From this, a wide range of spectral types that would be feasible for both instruments was established. A range of realistic exposures times was set; the minimum exposure time limits were given by the shortest possible exposure time on SPIRou: 6 seconds. The maximum exposure time was set to a one hour limit as it is a typical maximum exposure time for faint stars. These limits reduced certain spectral types because the stars were either too bright or too dim on one or both of the instruments. These calculations were done for multiple different signal-to-noise ratios (SNR), 100, 300, and 500. It was determined that the magnitude range of stars that could be used by both instruments simultaneously was about 1.28 – 13 in the V magnitude and 5.06 – 5.13 and 11.09 – 12 in the H magnitude. Our final results indicate that astronomers would save a lot of time on the sky using both instruments simultaneously as well as receive more information on any given observed star (as data from two different wavelength domains are acquired). One of many science cases that would benefit from this change includes researching quickly varying phenomena such as variable stars and binary star systems.